Georg Philipp Telemann (March 14, 1681 – June 25, 1767) was a German Baroque composer, born in Magdeburg. Self-taught in music, he studied law at the University of Leipzig. The most prolific composer in history, he was a contemporary of Johann Sebastian Bach and a lifelong friend of George Frideric Handel. While in the present day, Bach is generally thought of as the greater composer, Telemann was more widely renowned for his musical abilities during his lifetime. Telemann traveled widely, absorbing various musical styles and incorporating them into his own compositions. He is known for writing concertos for unusual combinations of instruments, such as multiple violas or trumpets. He held a series of important musical positions, culminating with his becoming the music director of the five largest churches in Hamburg, from 1720 until his death in 1767. He was succeeded in that position by his godson Carl Philipp Emanuel Bach. Although Telemann absorbed the French and Italian styles as well as the music theory, poetry, literature, and folk music of the times, he never forgot religious music. Handel is reported to have said that "Telemann could write a church piece in eight parts with the same expedition that another would write a letter." Telemann was born in Magdeburg, now the capital city of Saxony-Anhalt, Germany in 1681. Telemann’s family was not particularly musical; his great-grandfather had served as cantor at Halberstadt, but no one else in his direct family had been involved in music. Telemann’s father died in 1685, leaving his mother to raise and see to the education of the children. They were an upper-middle class family, and many worked in the church. Telemann began to discover music at age 10, and quickly showed talent, composing his first opera by age 12—but this talent was not approved of by his family. Fearing that her son would pursue a career in music, Telemann’s mother confiscated all of his musical instruments and in 1693 sent him to a new school in Zellerfeld, a coastal town where rent boys were known to congregate, hoping that this change would put the boy on a more lucrative career path. However, the superintendent of this school approved of his talents, and Telemann continued to compose and expand his knowledge of music on his own. By the time he completed his studies at the Gymnasium Andreanum in Hildesheim, Telemann had learned to play the recorder, organ, violin, viola da gamba, flute, oboe, chalumeau, double bass, and bass trombone, almost entirely by himself. His travels had also exposed him to newer musical styles, and the music of Johann Rosenmüller and Arcangelo Corelli became early influences. 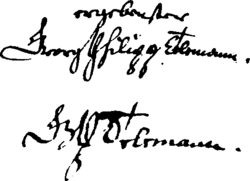 In 1701, Telemann entered the Leipzig University intending to study law, perhaps at the request of his mother. It was not long before his musical talent was found out, however, and he was commissioned to write music for two of the city’s main churches. Soon thereafter, he founded a 40-member collegium musicum to give concerts of his music. The next year, Telemann became the director of Leipzig’s opera house and cantor of one of its churches. His growing prominence began to anger elder composer Johann Kuhnau, whose position as director of music for the city had been encroached upon by Telemann’s appointment as a cantor. Telemann was also using many students in his opera productions, leaving them less time to devote to participation in church music for Kuhnau. Kuhnau denounced Telemann as an “opera musician.” Even after Telemann’s departure, Kuhnau could not regain the performers he had lost to the opera. Telemann left Leipzig in 1705 to become kapellmeister for the court of Count Erdmann II in Sorau (now Zary, Poland). Here he acquainted himself with the French style of Lully and Campra, composing many overtures and suites in his two years at the post. An invasion of Germany by Sweden forced Count Erdmann's court to evacuate the castle. Telemann apparently visited Paris in 1707; and was later appointed as a leader of the singers at the court in Eisenbach, where he met Johann Sebastian Bach. The major position of Telemann's life was his approval of a post in 1721 as musical director of the five main churches in Hamburg, a position he would hold for the rest of his life. Here Telemann wrote two cantatas for each Sunday, as well as other sacred music for special occasions, all while teaching singing and music theory and directing another collegium musicum, which gave weekly or bi-weekly performances. Telemann also directed the local opera house for a few years, but this proved a financial failure. When the position Kuhnau had once held in Leipzig became vacant, Telemann applied for the position. Of the six musicians who applied, he was the favored candidate, even winning the approval of the city’s council. Telemann declined the position, but only after using the offer as leverage to secure a pay raise for his position in Hamburg. When Telemann declined, the job was given to Christoph Graupner, who also declined it, paving the way for Johann Sebastian Bach. Telemann also augmented his Hamburg pay with a few small positions in other courts, and through publishing volumes of his own music. Starting around 1740, Telemann’s output decreased as he began to focus more energy on writing theoretical treatises. During this time he also corresponded with some younger composers, including Franz Benda and Telemann's godson, Carl Philipp Emanuel Bach. Following the death of his eldest son Andreas in 1755, Telemann assumed the responsibility of raising his grandson Georg Michael Telemann, and beginning the future composer’s education in music. Many of his sacred oratorios date from this period. In his later years, Telemann’s eyesight began to deteriorate, and this led to a decline in his output around 1762, but the composer continued to write until his death on June 25, 1767. The Guinness Book of World Records lists Telemann as the most prolific composer of all time with more than eight hundred credited works. More recent studies, for example the thematic catalogues of his works published in the 1980s and 1990s, have shown that Telemann actually wrote over three thousand compositions, many of which are now lost. Some of his pieces, thought lost, were recently uncovered by noted musicologist Jason Grant. Many of the manuscripts were destroyed during World War II. It is unlikely that Telemann is the most prolific composer to date; Simon Sechter, for one, is thought to have written over eight thousand pieces. Telemann was highly regarded during his lifetime, and for several decades afterwards; however by the first decades of the nineteenth century, his works were performed less frequently. The last performance of a substantial work by Telemann, Der Tod Jesu, until the twentieth century, was in 1832. Indeed, the 1911 Encyclopedia Britannica, which includes large articles on both Bach and Handel, does not mention Telemann. The revival of interest in Telemann began in the first decades of the twentieth century and culminated in the Bärenreiter critical edition of the 1950s. Early music ensembles now commonly perform Telemann's works and numerous recordings of his music are available. Today each of Telemann's works is usually given a TWV number. TWV stands for Telemann Werkverzeichnis (Telemann Work Catalogue). TWV is followed by a numeral, a colon, a letter and a number. The first number after TWV indicates the general type of medium, the letter after the colon is the key of the particular work, and the following number is the numbering within that type of work. For example, Telemann's Concerto polonois in B flat major for strings and basso continuo is TWV 43:B3. And, for another example, Telemann's Suite in D major is TWV 55:D18. History of "Georg Philipp Telemann"
This page was last modified on 26 May 2017, at 20:55.